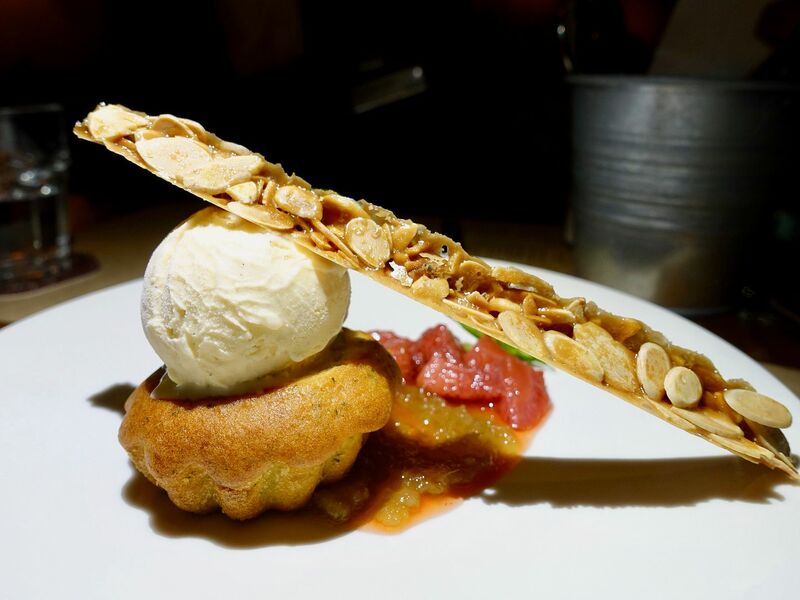 Dining in the Downtown CBD cannot get better than at Cook & Brew at The Westin Singapore. 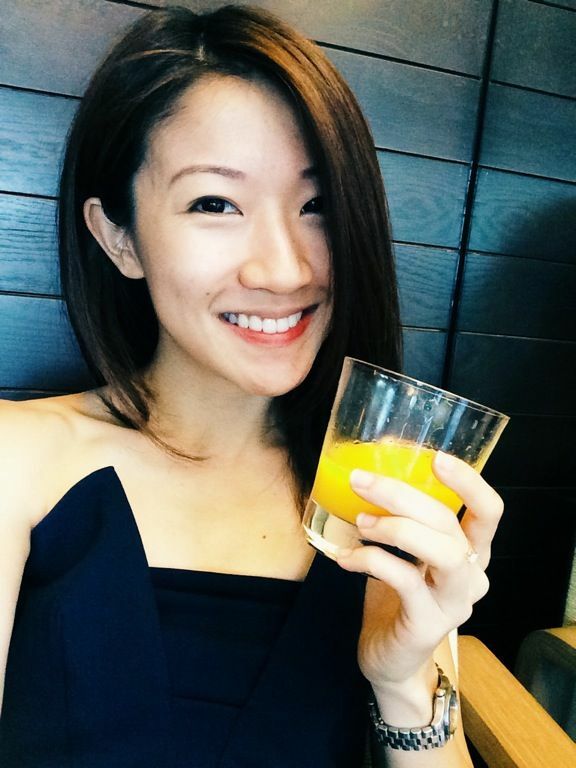 Located at level 33, the casual gastro-bar provided an unparalleled view of the Marina Bay area. 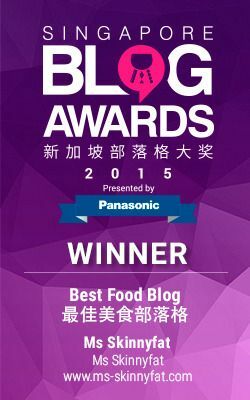 Food wise, there's more than just bar bites. The menu here has a mix of South-East Asia flavors and hearty (for lack of a better description) Western food. The best time to visit? FRIDAYS. House pour wines and beers are only $10 and cocktails are priced at $12 nett! You can also get bottles from $88. Plus, the live band gets the party going from 6pm. Always order the Whipped Buffalo Milk Ricotta ($15) to start. The winning combination of smooth airy cream with an earthy truffle honey on warm crusty chewy bread dissolved our resolve to save space for the other dishes. Plus theres more than enough spread to go around. Hee. 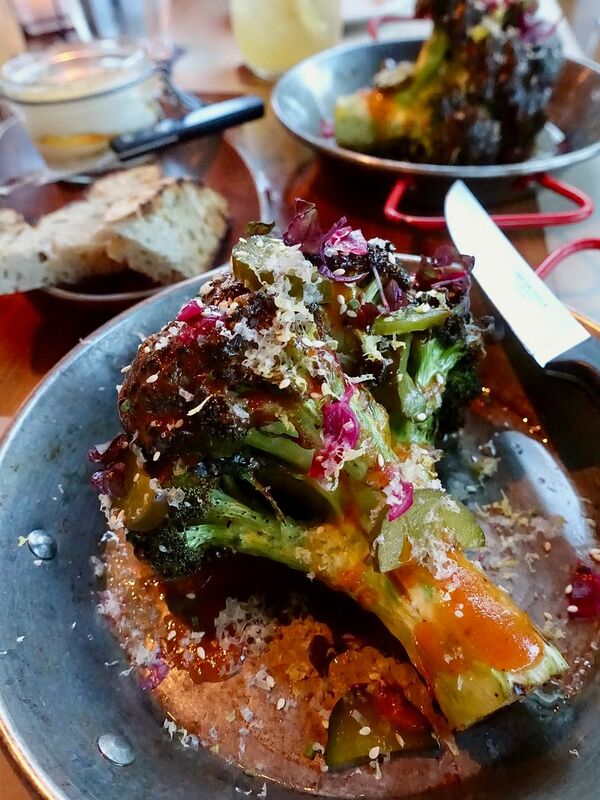 We were surprised by an entire head of Roasted Broccoli ($14) with a fiery honey Dijon and Sriracha dressing and pops of acidity from the sweet pickles, chili and lemon. Chop the florets up and toss them in the Korean style sweet and spicy sauce. How's this for an interesting bar bite? Skewers are perfect pairings for ice cold beers and it was #TB to the back alleys of Saigon with the Vietnamese Charcoal Grilled Pork Sausage ($16). The meat though flavored, could do with punchier aromatics. Meat lovers would love the options at Cook & Brew. The USDA 365 day 340gm grain-fed striploin ($61) was red and juicy, just the way we like it. The smoked cipollini jus provided a lovely caramel flavor to the mix and the crispy smashed potatoes were lovely starchy morsels. 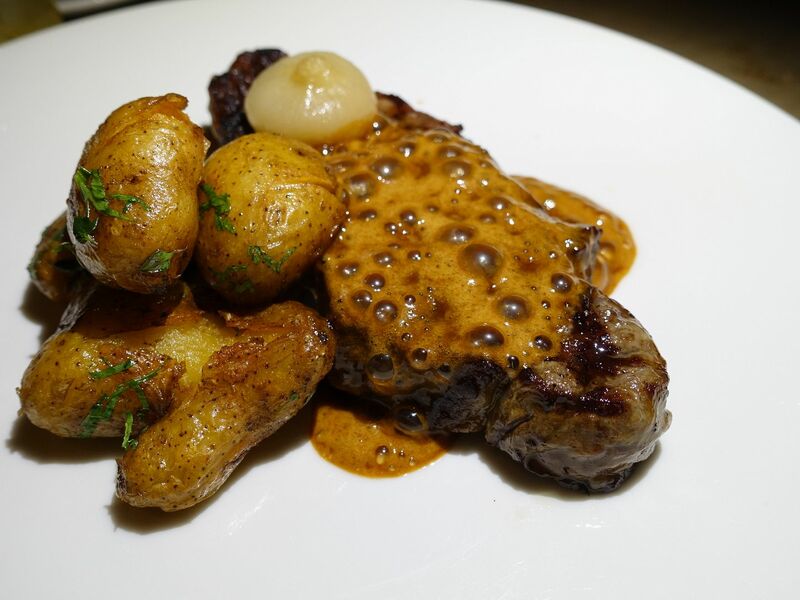 If you like even punchier flavors, the Beef Pot Roast ($39) certainly makes the cut. 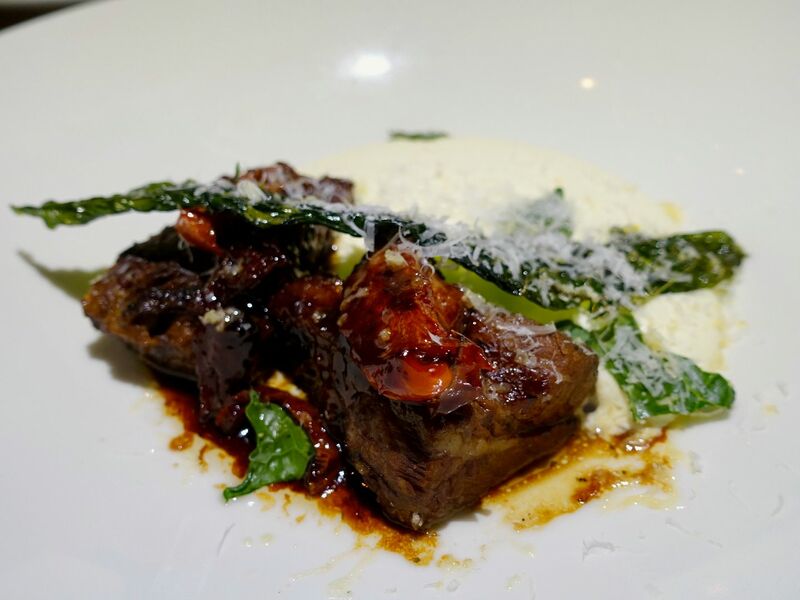 The USDA beef short ribs are easily pulled apart with a spoon and i loved how the creamy goat cheese and mascarpone polenta helps to balance the savory gravy of the meat. The pastas took us by surprise at Cook & Brew! The quality is that of a specialty Italian restaurant's. 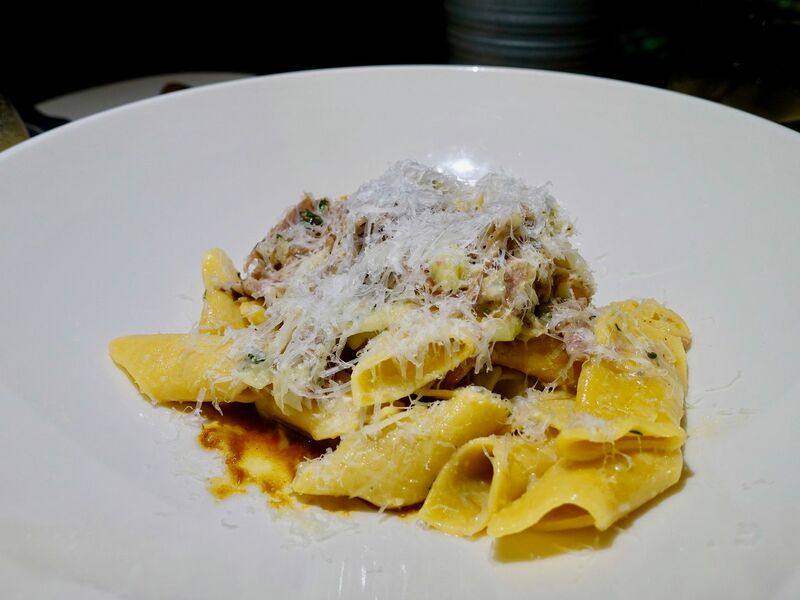 The Garganelli Pasta & Duck Confit ($32) uses a double-boiled duck broth and a dry Riesling for its umami base. 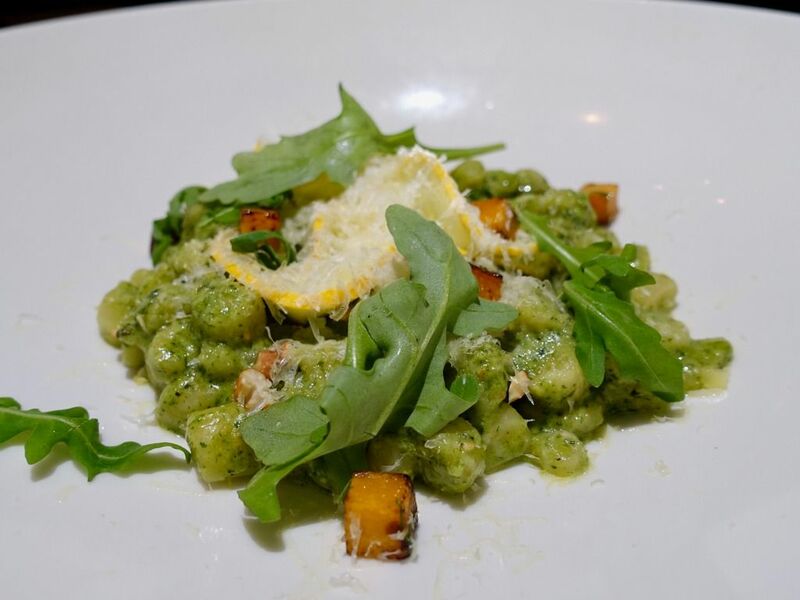 The Handmade Ricotta Cavatelli ($28) was our favorite pasta dish. The fluffy pillows were coated with an aromatic Coriander rocket pesto and topped with some cashew nuts, pecorino cheese and complemented with some sweet roasted pumpkin. Plus what's perfect is that it's also vegetarian. 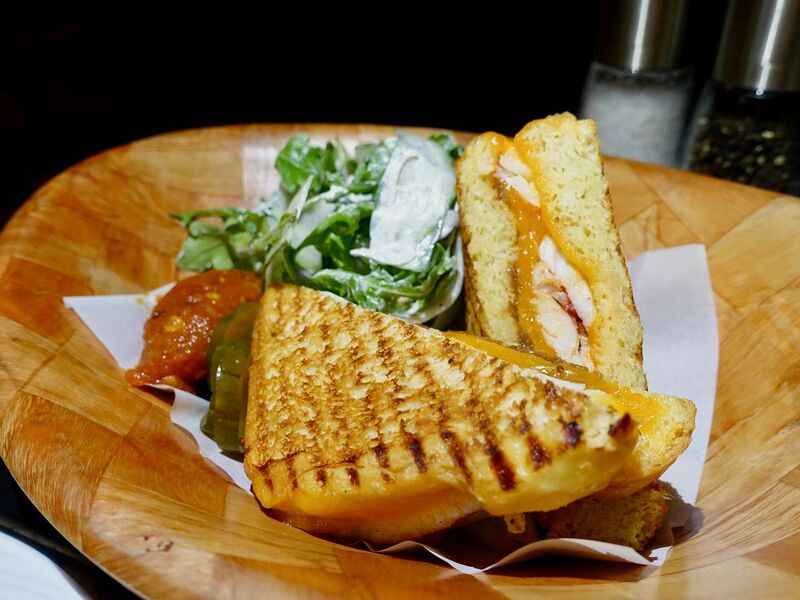 About the Lobster Grilled Cheese ($49) which features Nova Scotia lobster, let's say that this is not the best and I wouldn't order it despite the delicious fried brioche. The one dimensional grilled cheese and the lack of a creamy sauce-marinate for the lobster made this a rather dry meal. Perhaps a bowl of that Grandma’s tomato jam may help a little. Dessert isn't a strong suit of Cook & Brew. The Strawberry Basil & Rhubarb cake ($15) was dry and forgettable. The concept is great but the execution poor. 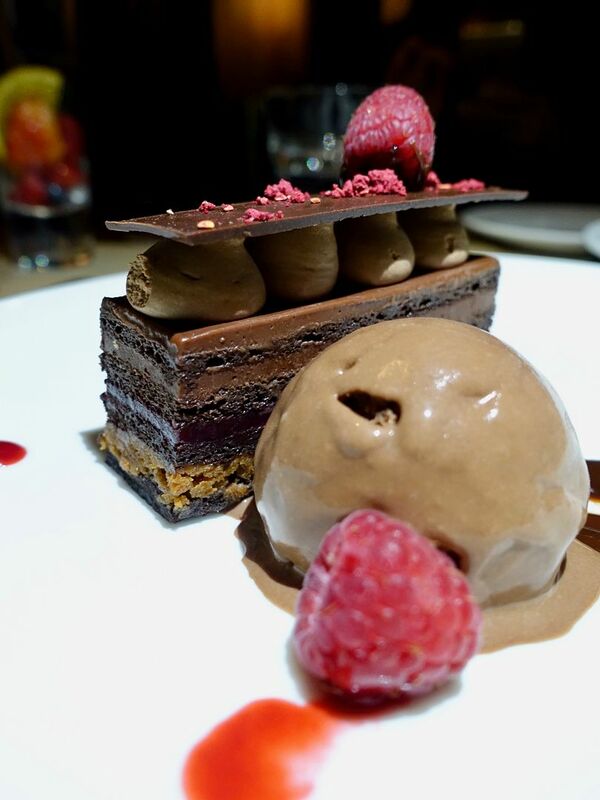 The Chocolate Raspberry and Hazelnut Crunch ($15) fared better but well one shouldn't mess up a chocolate dish. Have this flourless chocolate cake if you must have desserts. Or simply do another round of that whipped ricotta with truffle honey. Will certainly be back for at Cook & Brew for Friday drinks and more pastas! Just use your dessert stomach for more food here.